Now here’s one that I’ve loved since the first time I heard it many moons ago, during the early phase of the Wierd Records party. It’s since become a DJ favorite here as well, and never fails to kick things up a notch. Great driving Italian coldwave-styled post-punk here, four tracks long. Aggressive, hard hitting, and chock full of incisive guitars and moody synths, just the way I like it. Reminds me a bit of Lucie Cries, for anyone looking for comparisons/touchstones. The four piece band formed in 1992, taking their name from the infamous Joy Division track, and this debut CD was released in 1995. It was followed by one full length LP in 1997, just before the band split. However, they can be found on Facebook, for all curious parties. Here’s the info for this killer disc. Track four is indeed a live cover of the Modern English favorite! 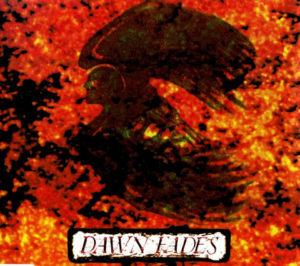 This entry was posted on June 13, 2011 at 2:58 pm and is filed under 1990s, 1995, coldwave, dawn fades, goth, italian, post-punk . You can follow any responses to this entry through the RSS 2.0 feed You can leave a response, or trackback from your own site. I don't happen to have it, but anything's possible! Wow, this is tight. Love to reverby guitars and ride cymbal, mixed with somewhat harsh, gutteral vox. It's a cool contrast. Great stuff by these Italians! Would also love to hear their full-length album.